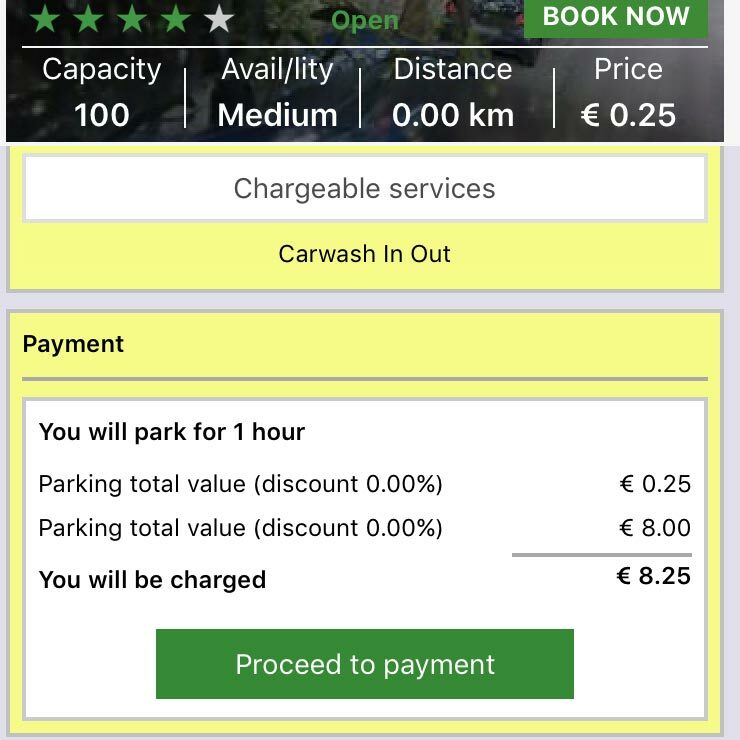 Download the PARKGURU App on your Android or iOS device and start booking parking spaces by chosing the best service, price and rating. Chose among millions of On-Street and Off-Street Parking Spots in Europe and North America. The choice is yours. Both On-Street and Off-Street Parking spots are offered on the map. You can filter by clicking on the relevant button at the bottom of the screen. PARKGURU filters the Parking Spots with a click of a button. Sort by Price, Availability, Capacity, Distance and Rating to chose the spot that suits you the most. It’s so simple. You set the type of Vehicle, Arrival and Departure time. PARKGURU will instantly present with the exact pricing for hundreds of spots around you. Some of our Parking Operators, prefer to accept bookings over the phone. 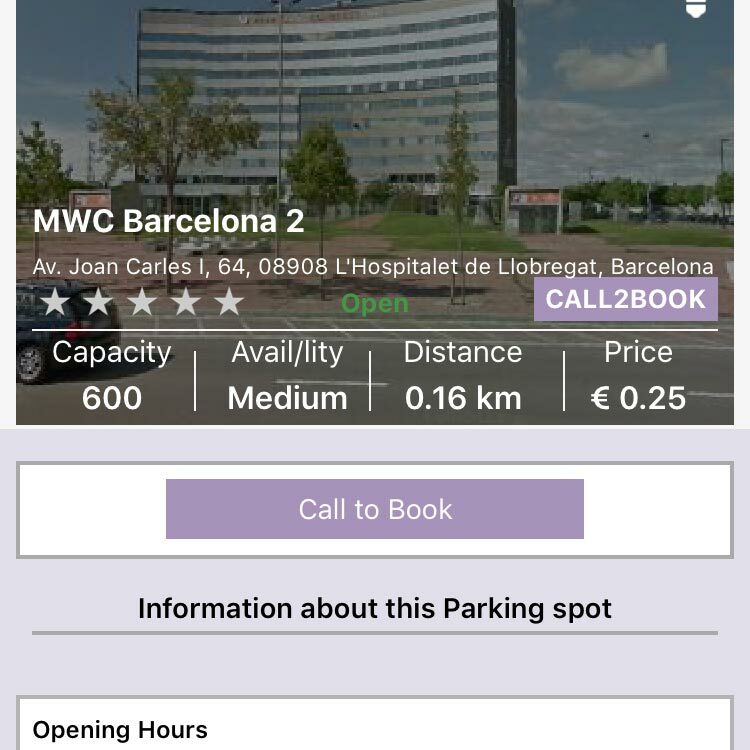 We have created the Call2Book service so you can speak directly with the Parking Operator and arrange all the details. Your call is recorded for your security and you receive all the details through a text message. We work with local Phone Value Added Service Providers to offer you the ability to book your Parking Spot by speaking to a skilled person. Ideal for persons who do not use smartphones or prefer to book their Parking Spot over a phone call. 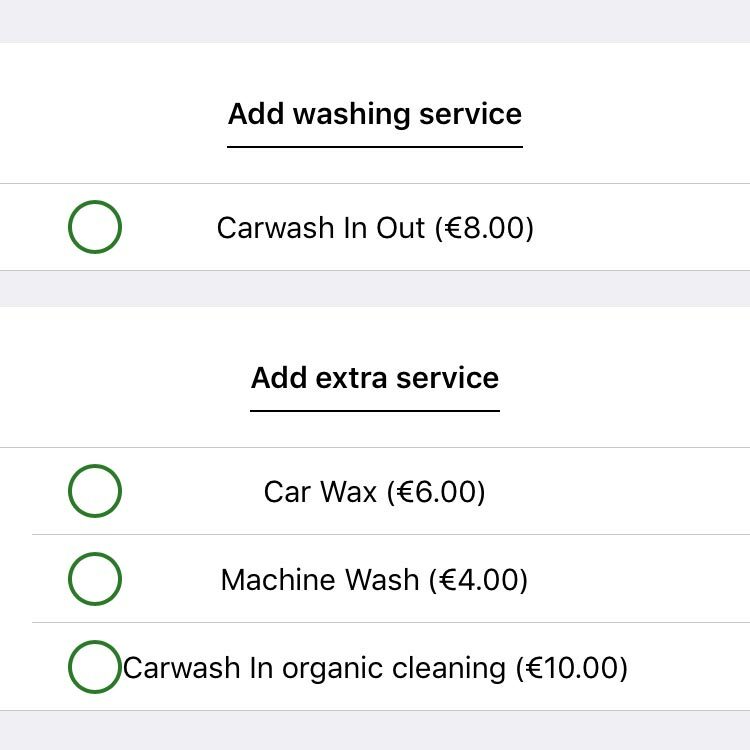 Now you can pre-book Extra Services such as Car Wash, Waxing etc while your car is parked. Save time and money by combining your parking with additional services for your vehicle. Park more with PARKGURU and win “GURUS” (our virtual currency). Use your GURUS to pay at retail stores (coffe shops, gas stations, etc) or pay for your next parking. PARKGURU follows strict security policies when it comes to confidential information and electronic payments. 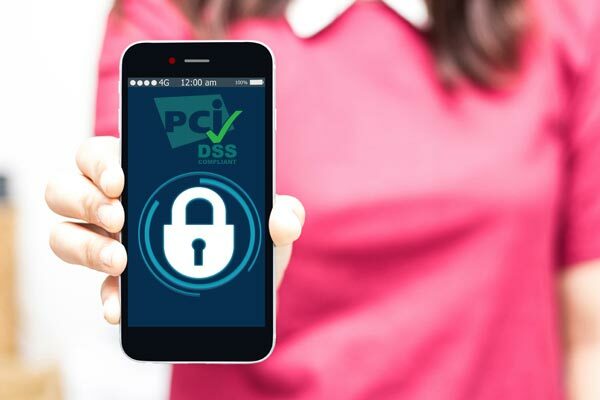 We use PCI Compliant policies to guarantee that there is no way that your credit card data, can be compromised. PARKGURU indexes and works with the majority of Parking Operators and Cities to offer you a hollistic solution for your parking needs. Wherever you go in Europe or North America, PARKGURU can lead you to a Parking Spot when you need it. PARKGURU is offered at the most spoken languages in the world so you can use it at your native language. Our aim is to offer it in all European and North American languages to make your life easier. PARKGURU Support Agents work around the clock to provide you with the best support for your park bookings. Use mail, chat or phone to speak to us and get support on anything related to your bookings. We believe that helping you find a Parking Spot is more than just providing a useful service. By saving driving time we help reduce the traffic jams and pollution caused by drivers and make cities a friendlier place for all.